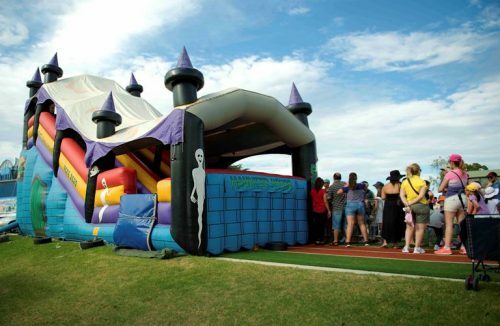 Hire Our Inflatable Slide in Melbourne for Hours of Fun! Does your child or teenager have a birthday coming up? Or are you organising an event for kids? 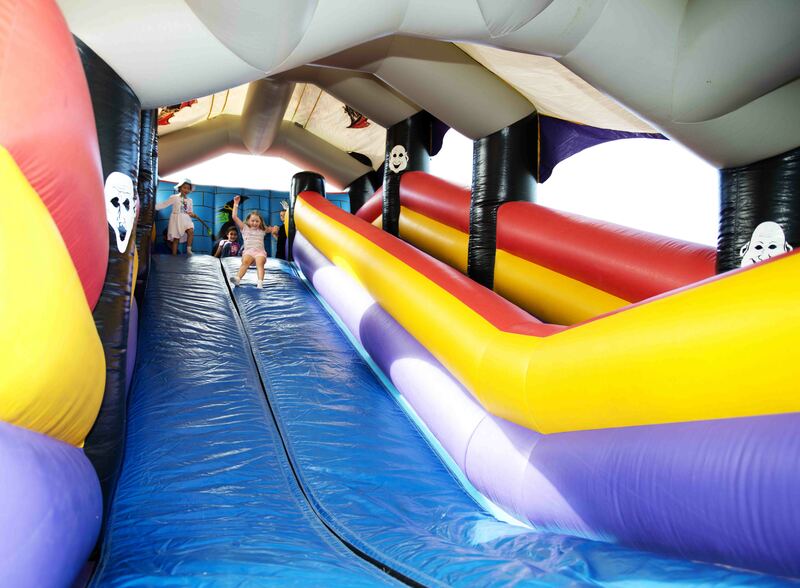 Why not make it the best party imaginable with our giant inflatable slide! Available for hire across Melbourne, our inflatable slide is perfect for rain or shine thanks to its covers. The striking design is covered in castle graphics with ghosts, witches and other images on the sides as though you’re escaping a haunted castle. In contrasting colours, the inflatable slide really stands out and has high walls for added safety. 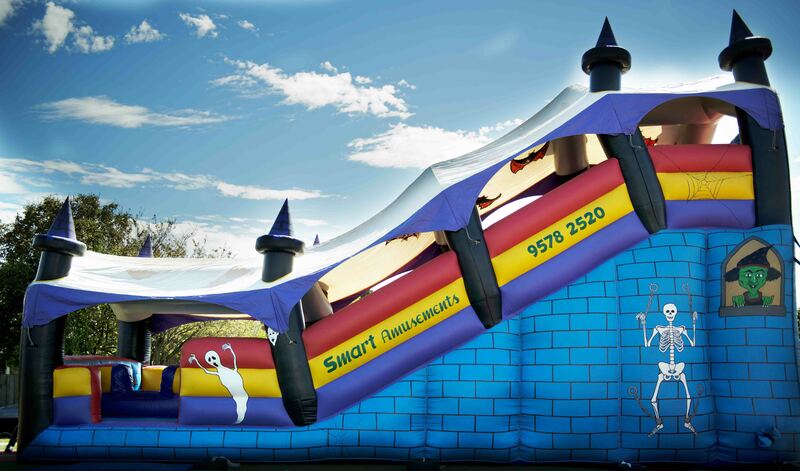 Contact us to book the giant inflatable slide for your Melbourne party today! 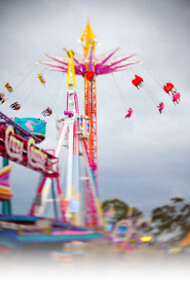 Smart Amusements provides a wide range of games, rides and fun food equipment for hire across Melbourne, making us the entertainment provider of choice for parties for over 35 years. Whether you’re looking for a giant inflatable slide or a fairy floss machine for your kid’s birthday party or some classic carnival games for a corporate event, Smart Amusements has everything you’re looking for and more! If you have any questions about our inflatable slide or any of the other products we have available for hire, please feel free to get in touch with our friendly team. We’ll be more than happy to assist you and answer any queries you may have. You can reach us by calling (03) 9555 6606 or by filling in our online enquiry form and we’ll get back to you as soon as possible. 2 x 10 amp outlets 2 x 1 hp motors plus lights.